Grand Prize is 2019 Corvette! Slot tournaments will be held Friday through Monday from noon to 10pm, with the exception of February 22 and March 8. Slot tournaments will be held 4pm to 10pm on February 22 and March 8. Cache Club members will receive one free slot tournament entry ticket each day, Friday through Monday, at the red kiosks. Slot tournament entry is only valid for the day issued on ticket. Must present tournament entry, Cache Club card and valid photo ID to play. Tournament seats are subject to availability. Tournaments will be held approximately every twenty (20) minutes. Each tournament round will be two (2) minutes in length. Each tournament round winner will receive a $20 TITO ticket. If there is a tie during a qualifying tournament round, each top score will be awarded a $20 TITO ticket. The top daily score will receive an additional $500. The top 2nd - 5th Top daily scores will receive an additional $100. The top five (5) daily scores will be announced at 10:15pm each day. These winners have ten (10) minutes to claim. Must be present to win. If top daily scores do not claim, the prizes are forfeited. The top five (5) daily scores will qualify for the finals tournament on March 17. If there is a tie between the top daily scores, all scores will qualify for the finals tournament on March 17. A Cache Club member can only qualify for one seat in the finals tournament. The tournament finals will begin at noon on March 17. If there are tied scores for the grand prize during the finals tournament, the tied scorers will play an additional two (2) minute tournament round. Ties for any other prize will be combined between the players and then split. Grand Prize is a 2019 Chevrolet Corvette Stingray, which will be awarded via certificate for redemption at a local dealer. Players will get an additional swipe at the kiosks every day for every 1,000 points earned that day (up to 5,000 points total). These kiosk prizes include Bonus Play and points. Swipes must be earned at the kiosks by 11:59pm on the day earned. 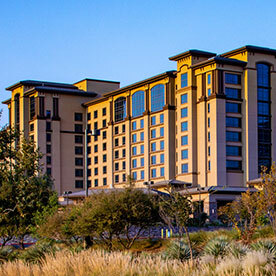 Any dispute regarding the play or operation of the games associated with the promotion shall be handled under the guidelines set out in the Cache Creek Casino Resort Patron Dispute Policy.